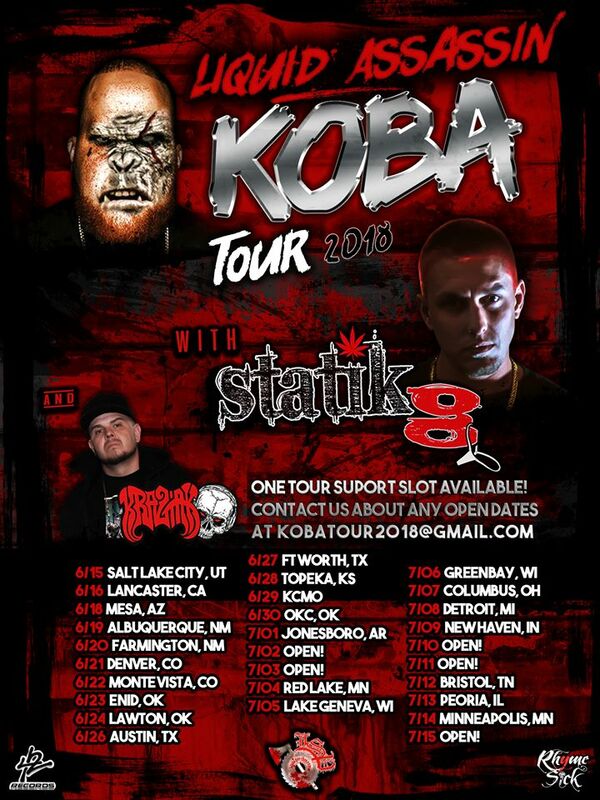 News > Underground News > Liquid Assassin’s “KOBA” Tour Dates Announced; Support Slot Available! Liquid Assassin’s “KOBA” Tour Dates Announced; Support Slot Available! Two weeks ago, we told you about the new Liquid Assassin album KOBA that is now up for pre-order! If you missed out in that info, it drops on June 18th, and you can pre-order it now at THIS LINK. In support of the new LP, the KOBA Tour is set to start up on June 15th in Salt Lake City, UT! After that, there are a month of tour dates spanning the nation! Also on the bill are Statik G and Kraziak! There’s a spot open for tour support as well, and you can get those specific details by emailing kobatour2018@gmail.com!